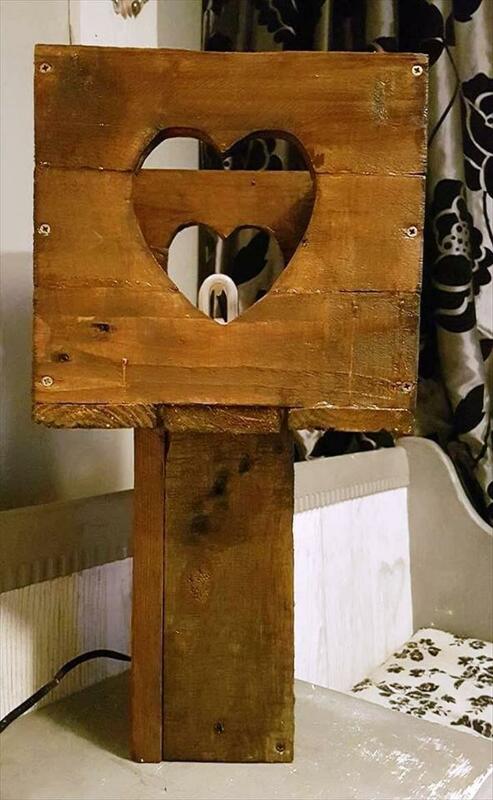 Willing to create amazing things and furniture out of pallets? Just grab the latest pallet hacks from here!! 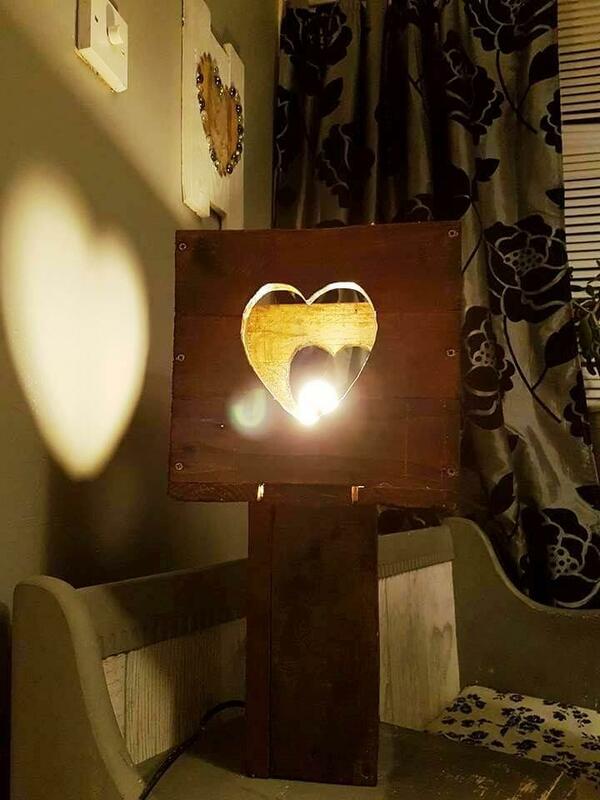 If you are sorting out some fabulous kinds of lamps to style up your study tables or desks or even the nightstand then this DIY pallet lamp with heart shape cutouts in the sides, will truly be a fancy type of lamp for any table surface, the amazing thing is that you can build it at home using some scrapped away pieces of wood or a few slats of pallets! Get a solid wood piece or simply join the removed pallet cubes to install a solid base for lamp! Modify the base to pass through the electric cables and just fix a light bulb to the top of the base! Now plan some pallet slats for an accent shade of lamp! Here lamp shade has been made in a box like shape and comes with fancy heart-shape cutouts that allow an enchanting light spread at night! 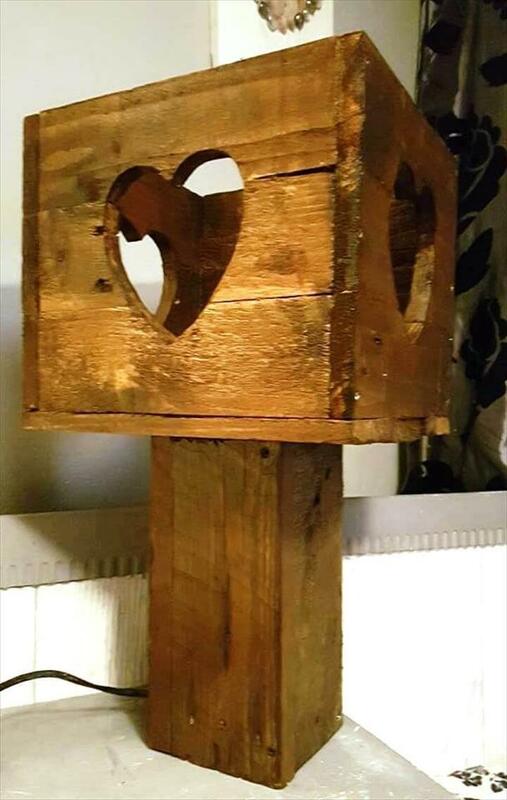 All you need is a decide slats of pallets to build a solid base of the lamp and an art style lamp shade! 4 equal lengths can be jointed together to build a solid square tower like base through which you can also pass the electrical cables! Let the finally finished base come with a bulb over its top and then just make the lamp shade sit over it beautifully! 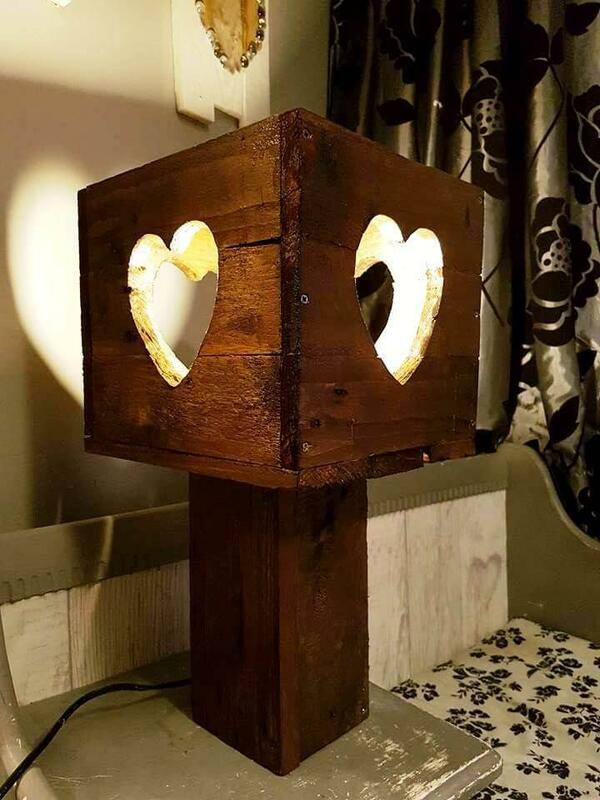 For lamp shade, a box has been made by going handmade with pallet slats and then a fancy visual of it has been created by making heart shape cut outs in each side of it! Assembly of parts has been done by using steel screws that hold the sides together in a solid way! You can finish this wooden lamp with custom paint colors and also with custom stain shades you like!